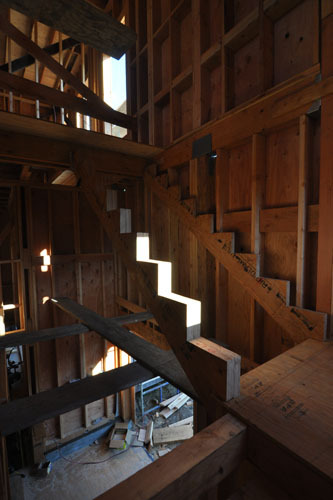 The rough framing of the stair tower in the back is coming together. We can now go up and down at least a few levels using the back stairs. 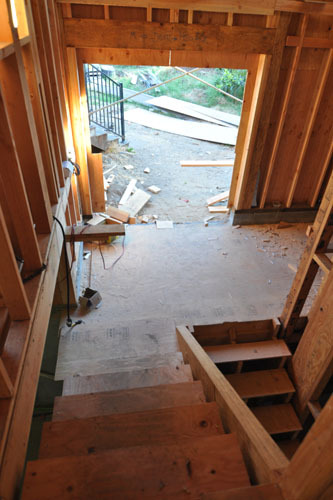 There will eventually will be a wall between the stairs up to the kitchen and the stairs down to the basement. 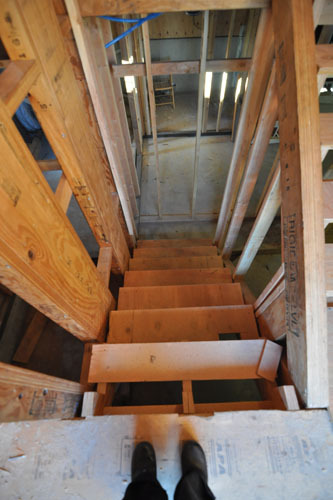 It's very exciting to have the stairs down to the basement, even only in temporary form. 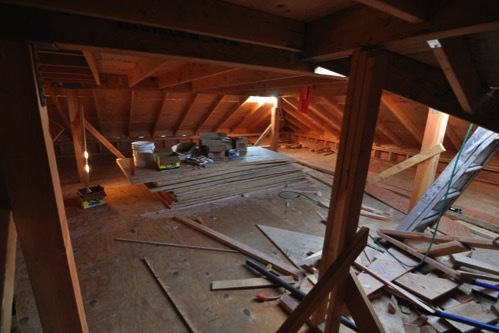 Actually, just being able to get around the job site without climbing around is pretty comfortable. 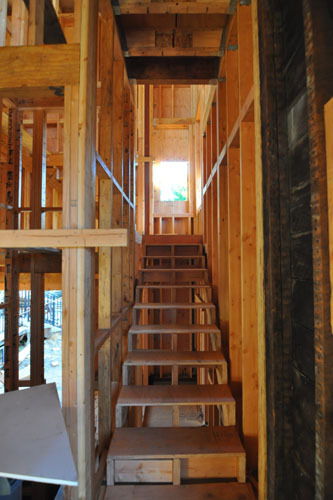 The upper part of the stairs to the second floor doesn't have any treads yet, but they are coming soon. 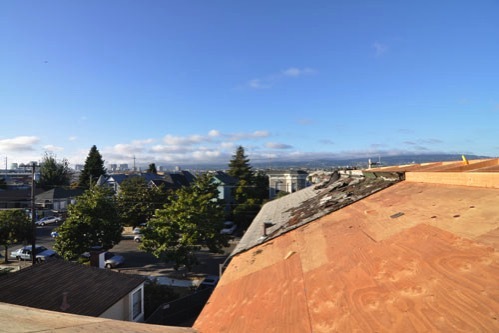 Last week the guys spent a lot of time getting the roof framing together and finishing up the upper roof. One thing I realized when the plywood started going on the roof was that it will be awfully dark up there, so we decided to add a couple of sun tubes to bring natural light in. That will make it a little easier to see up there during the day without using electricity to run the lights. And while it's still possible, a quick shot over the roof. It was really pretty this weekend.